The United Nations has found itself the victim of an intrusion by known hacker group Teampoison, after they gained access to at least one of the international peacekeeping organization's servers, stealing over 1,000 email addresses, usernames and passwords in the process. Teampoison published all of the stolen credentials on Pastebin, along with messages explaining the reasoning behind the attack: "A Senate for Global Corruption, the United Nations sits to facilitate the introduction of a New World Order and a One World Government as outlined by Brock Chisolm the former Director of UNWHO." This was in reference to a previous statement made by Brock Chisolm, where he claimed that to achieve a One World Government, it is necessary to remove from the minds of men their individualism, their loyalty to family traditions and national identification. "How far you have come from the first address by Thomas Jefferson where 'peace, commerce and honest friendship' were the modis operandi to one today where talk of 'eliminating 350,000 people a day' as outlined by Jacques Cousteau is a academic consideration," said Teampoison in a written statement. The user credentials appear to be mainly those of the United Nations Development Programme (UNDP), but others including the Organization for Economic Co-Operation and Development (OECD), UNICEF, the World Health Organization (WHO) were also in the hackers' published data. Ironically, despite the need for tightened security due to the spate of online attacks this year, the UN was not enforcing a minimum password character account. They also had the credentials unencrypted on the server and even more alarmingly, some of those listed were not even using passwords to secure their accounts. 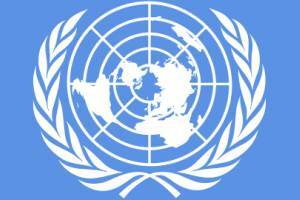 Sausan Ghosheh, a representative for the UNDP said in a statement that the hackers had targeted an old server. "The server goes back to 2007. There are no active passwords listed for those accounts. Please note that UNDP.org was not compromised." According to the Inquirer, in a follow up tweet in response to the UNDP's statement, Teampoison commented, "ima let the #UnitedNations think they theyve took the hacked server down lmfao." The group is rumoured to have joined forces with Anonymous targeting banks and financial institutions as part of Operation Robin Hood.